Happy 2017! We kicked off the New Year with a time of celebration. January 6 is a special day in Mexico. You’ve probably heard it called “Epiphany,” but we call it “Dia de los Reyes” – Day of the Kings. This is the day we celebrate the arrival of the three kings – or Magi – to honor the newborn Christ child. One of the traditions of this holiday is to eat “Rosca de Reyes” – King’s Cake. Hidden inside the cake is an effigy of the baby Jesus. Our kids eagerly took their pieces of cake, hoping to find the tiny, plastic figurines. 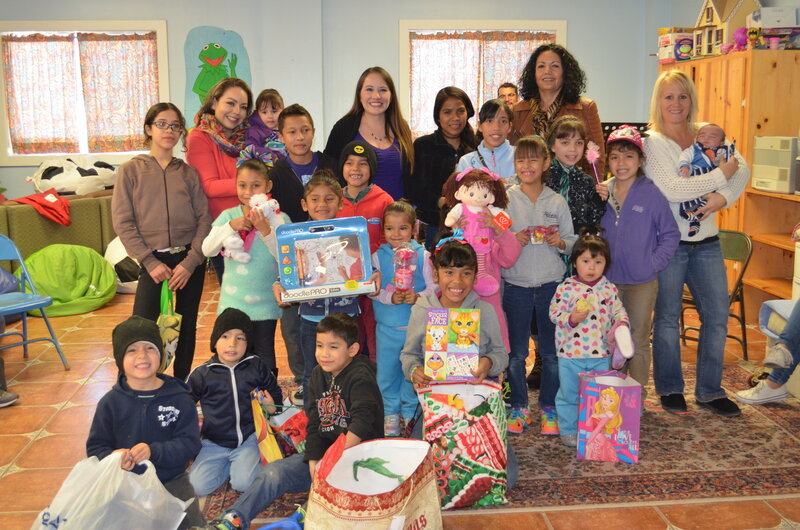 To help us celebrate the holiday, our dentist, Dr. Molina, and several of her clients came to Sonshine Hacienda. And just like the Magi brought gifts to the Christ child, our guests arrived with gifts for the children and hot chocolate, serenaded us with their musical talents, and even brought along a hot dog cart for lunch. We are ever reminded of the love and support that comes from our community. God continues to stir the hearts of individuals, businesses, and groups to care for His children. Everyone who walks through our doors, everyone who prays for Sonshine, everyone who spreads the word about what God is doing in this place is a blessing to us and our children. We have new, full-time volunteer missionaries at Sonshine Hacienda! 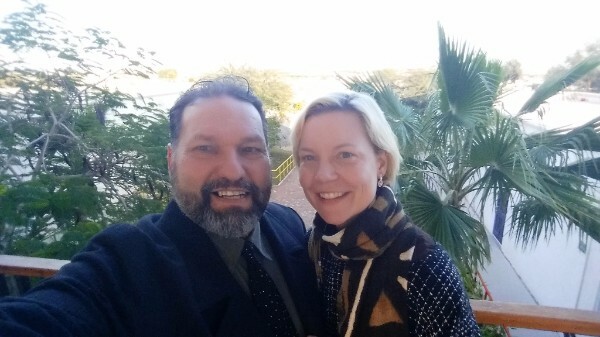 Randy and Katie Ubry-Terrell arrived on November 11. They came to us from Loomis, California, and were a much-needed extra set of hands during our busy Christmas season. Working at Sonshine means being able to do whatever needs to be done: whether that is cook, clean, pick up mamas for work, lead devotions, change a tire, or run to the store for salsa, Randy and Katie quickly learned how to do it all. Their willingness to step in where needed is a huge asset. In addition, Katie will be updating our Facebook page and website, as well as putting together regular newsletters. Randy will be assisting Bernardo with driving, Pablo with maintenance, and Diana with cooking. It’s been YEARS since the entire Lewis clan has been together under one roof, but it happened in early January! 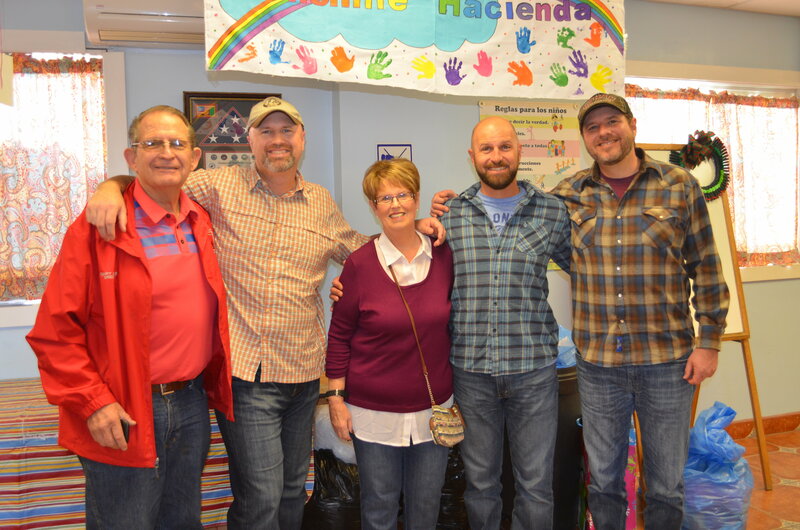 The three adult sons of Gary and Karen – Michael, Todd, and Jason – drove down to San Felipe from their homes in various parts of California for a wonderful three-day visit. While no one was as excited as Gary and Karen, the Sonshine kids were thrilled to spend time with the boys who they regularly pray for. Our Annual Yard Sale to support Sonshine Hacienda is coming up quickly! Year after year this is one of our largest fundraising events. Please let us know ASAP if you have items you wish to donate. And be sure to come out and shop! It's for a GREAT cause.